WELCOME to the city of Lakes-Udaipur where the elegant Saheli Palace hotel provides you the gracious hospitality services. Located in the heart of city, attached to the main commercial centers and walking distance from Sahelion ki Bari , Fatehsagar and Bhartiya Lok Kala Mandal. For business and conventions it provides conference hall and the beautiful lawn space is an ideal venue for all type of large celebrations. Doctor on Call, Multi Lingual Staff, Family/Child Friendly, Safe Deposit Box-Front Desk, Backup Generator, Internet/Wi-Fi, Banquet Facilities, Breakfast Services, Security Guard, Room Service. Ceiling Fan, Window Opens, Complimentary Toiletries, Daily Room Cleaning, Balcony / Terrace, Cable/Satellite TV, Television Room, House Keeping, Safe Deposit Locker Facility, Attached Bathroom. 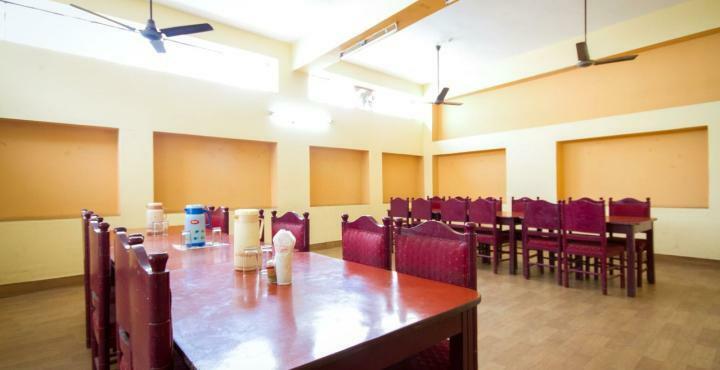 Banquet Facilities, Beauty Services, Breakfast Services, Business Facilities, Conference Hall, Doctor on Call, Laundry Facilities, Parking, Room Service. User reviews for "Saheli Palace Hotel Udaipur"